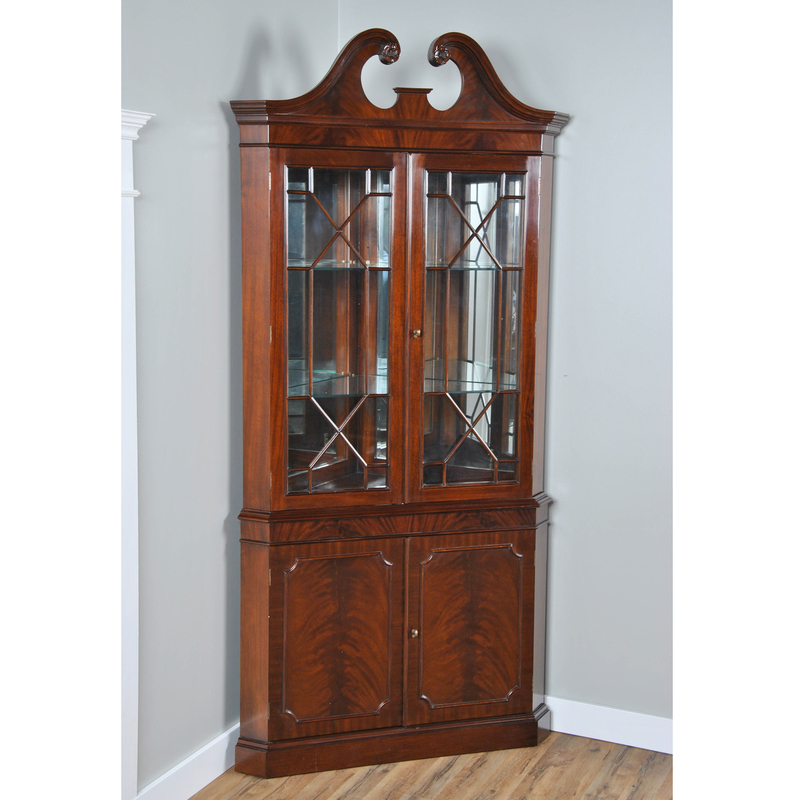 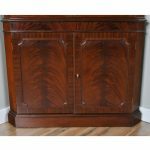 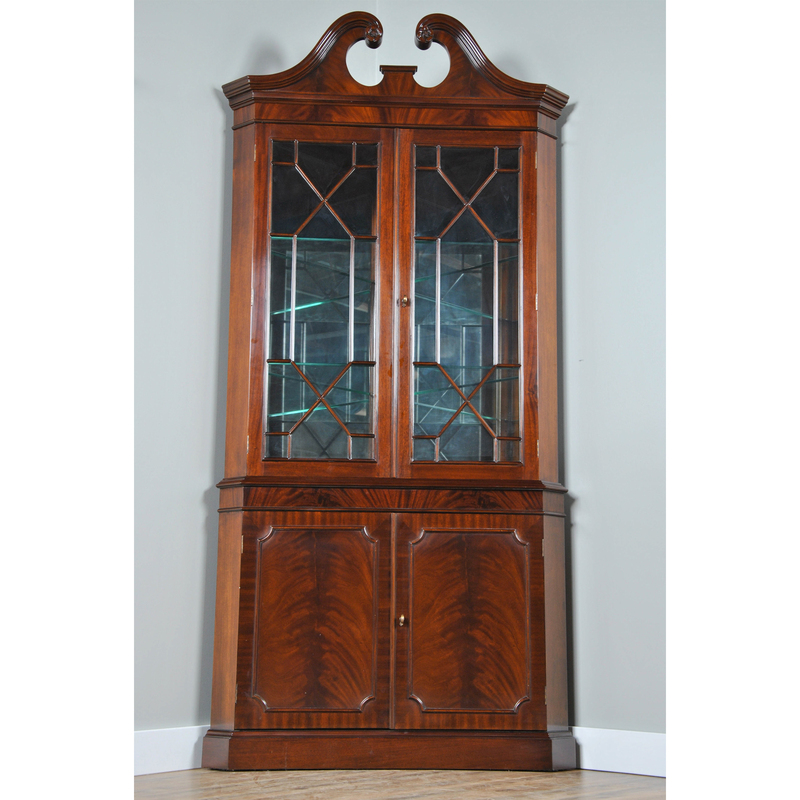 This double door, Large Mahogany Corner Cabinet by Niagara Furniture is manufactured from kiln dried, plantation grown, mahogany, and features figured mahogany veneers on the door fronts. 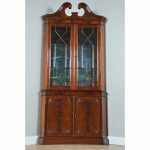 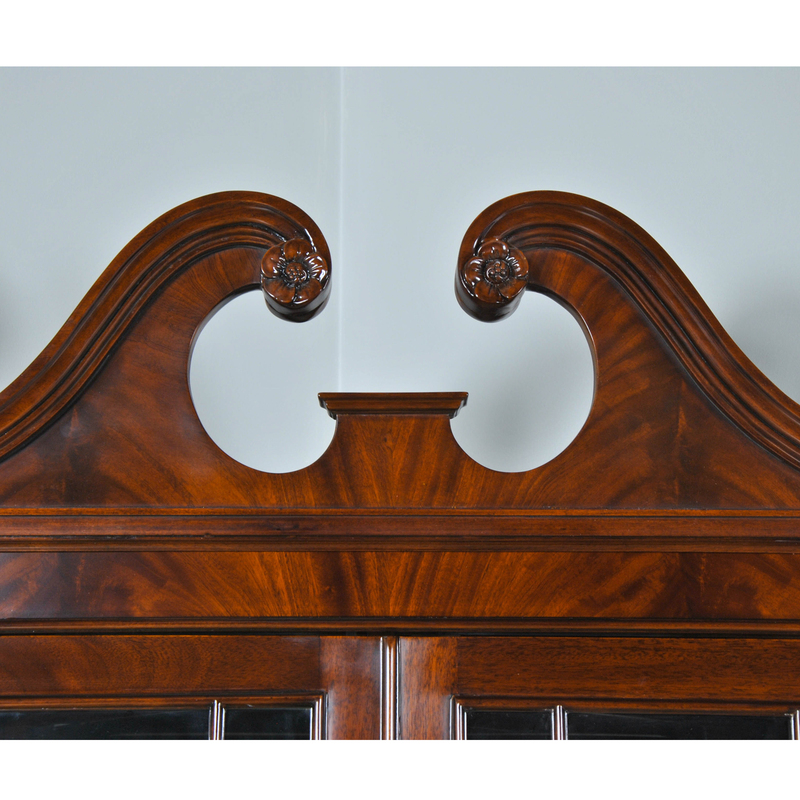 The attention to detail and expert craftsmanship is apparent in the hand carved solid mahogany details throughout this china closet. 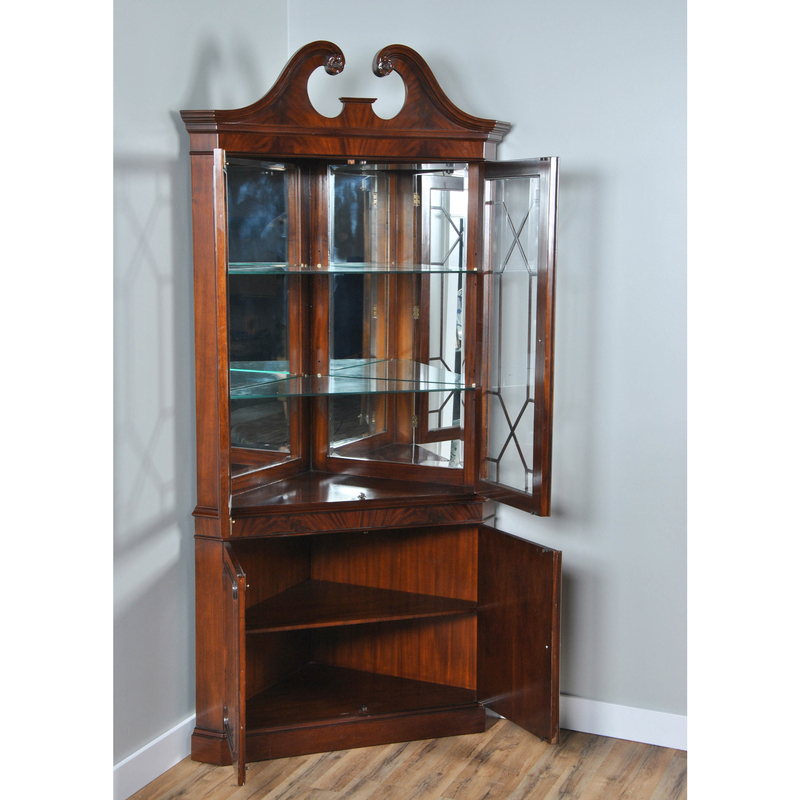 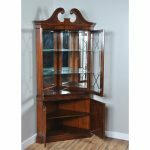 The top section has a mirrored back, glass shelves, solid mahogany door frames and lattice work creating a perfect setting to display your treasured valuables. 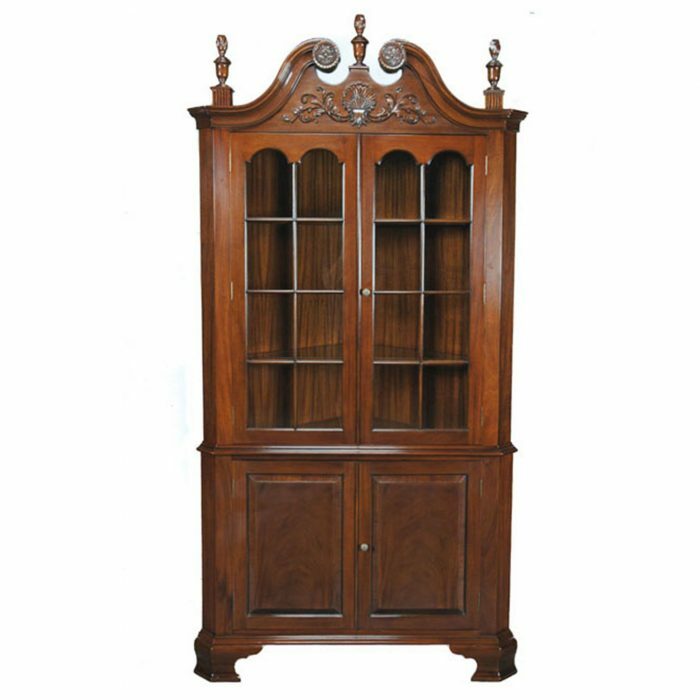 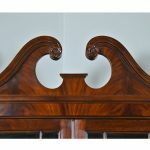 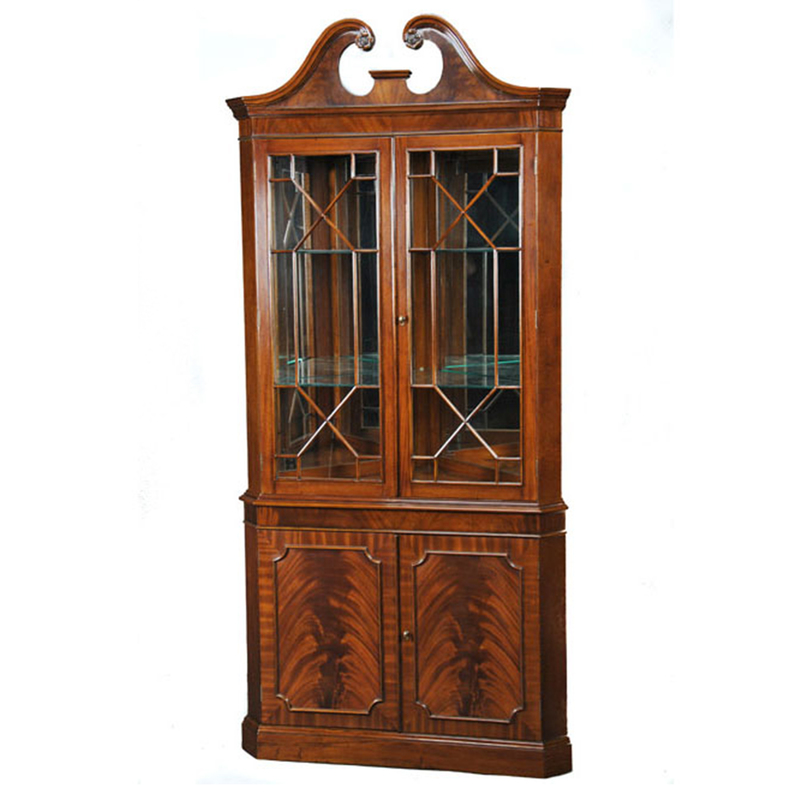 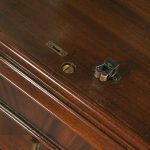 The lower section of the Large Mahogany Corner Cabinet features a wooden shelf and closed additional storage space. 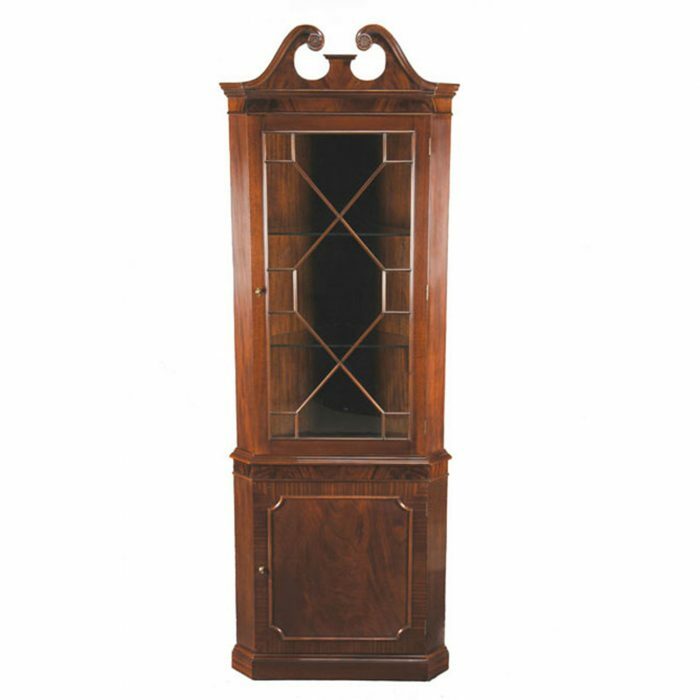 This high quality china closet comes in two part construction for ease of transportation and installation. 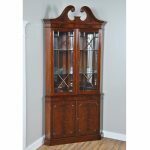 In order for this cabinet to be displayed properly in a corner of the room you would need to have 30 inches of wall space available on each wall.